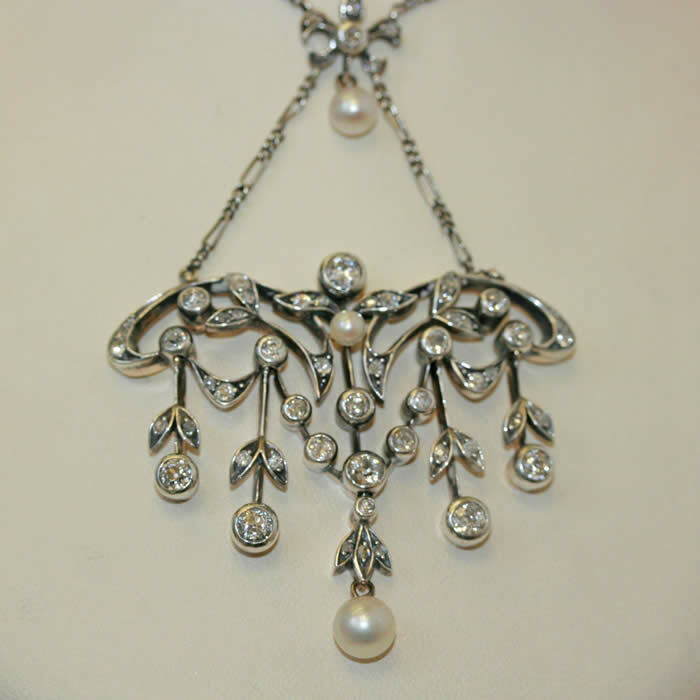 Antique diamond and pearl pendant. Product code: 429 Categories: Sold Items, Sold Jewellery. Now this is an antique of exceptional beauty. 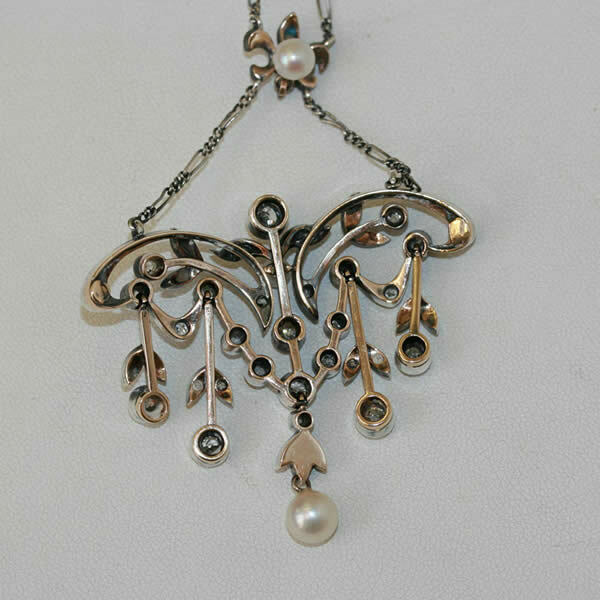 A stunning antique pendant made in the 1890’s, hand made in 15ct rose gold and silver. The piece is set with 51 diamonds weighing 3.17 carats in total, and 3 pearls on the front and 1 pearl on the reverse on the Fleur-di-lis at the top. This piece is so stunning to wear, it will make a statement the moment any woman walks in the room with it worn around her neck.